As a TOS Review Crew Member I was given a chance to try out Kid Scoop's Reluctant Reader Solution. Since we have three of those in our house - only one is currently identified as dyslexic - I jumped at the chance. The information page that includes pricing and the basis for the program is located here. Kid Scoop offers a Reluctant Reader Solution package - 365 worksheets and 12 month subscription to their Kid Scoop News for the low price of $97 per year. This is a money back guaranteed program that is quickly delivered to your email box after purchase. The worksheets consist of mini unit studies on 60 different subjects of high interest. I used Christopher Columbus with Oldest, Golf for Middle and Immunizations with Youngest. These are in black and white and come in PDF form. Oldest was studying Columbus so it dovetailed well with his history lesson - map activities, math exercises, proof reading/editing, puzzles and the always popular word search. Golf had many different math exercises that Middle really needed. He loved the word search and the jokes and riddles on the pages. I chose Immunization for Youngest because he needed a booster at his well check and I needed help convincing Mr. Logical. The study filled the need and went with his Science study of the Human Body. It talked about the science behind Immunizations and how the body reacts to them. Again, the Word Search was a big hit. My only complaint would be that the pages are a bit too cluttered for people who are easily visually overwhelmed. We preferred the black and white worksheets to the Kid Scoop News. While bright, vivid colors are attractive to most kids mine are easily visually overstimulated. I am as well and I had a little trouble navigating both the website and the Newsletter online. It was much easier to download the monthly newsletter and read it on my computer. I will continue to use these units as they make a very nice supplement to our studies. It did raise the interest level of my kids - Middle wanted to do the entire golf unit in one day. I liked the way math word problems were woven into the subject as my boys struggle with ordinary word problems. Tying them to an interesting subject made all the difference in their comprehension. You can also sign up for 30 days of tips delivered to your email here. 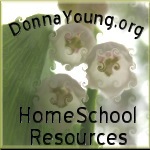 There are also other offerings at this link - a website for kids and a newsletter for parents. I'm stopping by with the blog walk. I hope you and the boys are having a good week. Dropping by on the TOS Blog Walk. I'm following you via GFC.